If you hold a full car (Category B) driving licence, it gives you full moped (Category AM) entitlement. It also gives you provisional entitlement for a motorcycle licence, but you will be required to take a CBT (Compulsory Basic Training) course before you are allowed on the road. 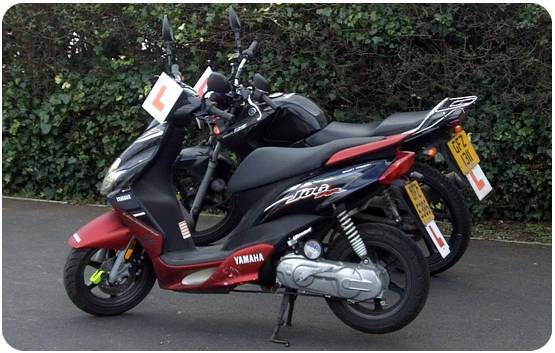 You will only be allowed to ride a bike of up to 125cc with ‘L’ plates and will have 2 years to pass your Motorcycle tests (Theory, Off-Road and On-Road) or take another CBT course. If you wish to ride a larger bike, you will need to take another test on either a Category A2 (up to 35KW or 46bhp) or Category A (unrestricted). To take a test on an unrestricted bike (Direct Access), you need to be at least 24 years old, hold a CBT certificate and pass Theory tests and Off-Road and On-Road practical tests. You are not allowed to ride a bike over 125cc on ‘L’ plates unless accompanied by a qualified Motorcycle Instructor (AMI). You may be able to take a Direct Access course at the age of 21 if you hold a Category A2 for at least 2 years. 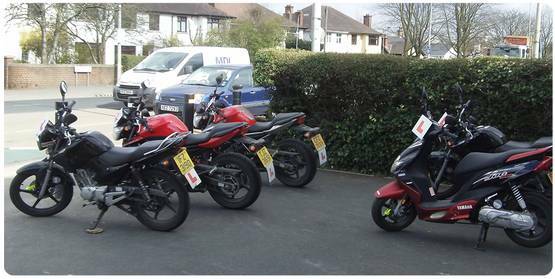 All our lessons are conducted by fully qualified AMI instructors who will use motorcycles themselves (we don’t follow you around in a car!) fitted with radio intercom. We provide all the equipment you will need – helmet, gloves, protective jacket, over trousers and wet weather wear as well as all categories of training bikes.